To open its 10th Anniversary Season, Music From Japan presented music by Takashi Yoshimatsu, Mel Powell, Somei Satoh, Katsuhiro Tsubonoh, David Loeb, and Karel Husa on December 7th, 1984 at the Asia Society. The pieces included three American premieres and were performed by the New Amsterdam Ensemble, joined by a group of other renowned musicians. On January 18th, 1985 Music From Japan presented both contemporary and traditional music for classical Japanese percussion and flutes in a program called “Traditional Instruments in Classic and Modern Works.” Suiho Tosha performed on yokobue, and Naritoshi Tosha performed on percussion. Four pieces were performed, two of which were traditional pieces, and two of which were contemporary pieces: Homura was composed by Suiho Tosha and Naritoshi Tosha; and Sho was composed by Suiho Tosha. 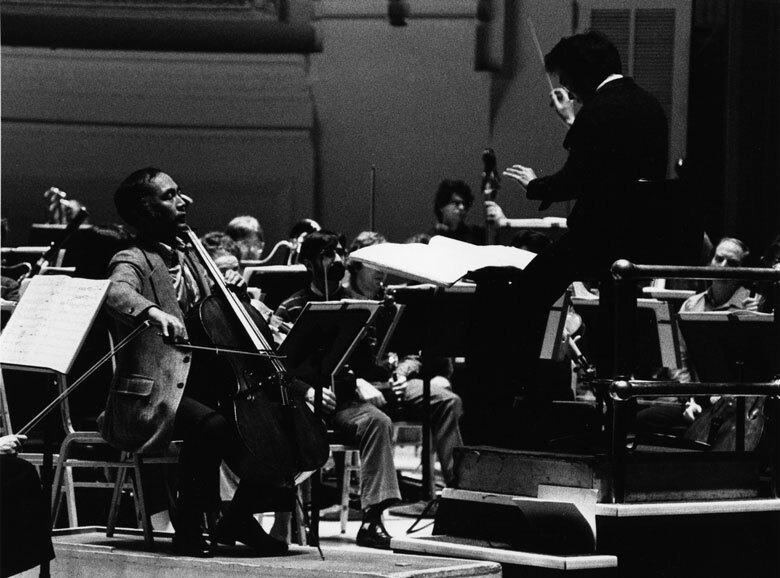 For their February 1985 Carnegie presentation, Music From Japan invited the American Symphony Orchestra to perform new Japanese music once again. Featured Composers included Takashi Yoshimatsu, Maki Ishii, Toru Takemitsu, and Akira Miyoshi. The New York Times gave a positive review of the event, praising Music From Japan for helping remedy the fact that Japanese works were so rarely heard in the US. The performances at Carnegie were followed by two days of symposia and mini concerts held at the Asia Society. The subject of the symposia were “The State of Contemporary Music In Japan.” Two performances of Michio Mamiya’s String Quartet were given, on the 15th and the 16th. For its 10th Anniversary, Music From Japan brought its high quality programming to the Kennedy Center in Washington DC on April 13th and 14th. Before the music began, a symposium was held—“Japanese Music and Its Impact on American Culture.” Among the participants were George Crumb, Gunther Schuller, Michio Mamiya, Akira Ueno, and Joji Yuasa. George Crumb and Gunther Schuller, both of whom had by that time had been influenced by and interested in Japanese contemporary music, contemplated its defining characteristics. Among the issues discussed were the “variety and delicacy of timbre” and “the illusion of timelessness, an absence of momentum” (Washington Post, Monday, April 15, 1985). The concert, which took place on April 14th, included pieces by Yasushi Akutagawa, Shin Sato, Joji Yuasa, and Michio Mamiya. The works were performed by the Kennedy Center Opera House Orchestra, the Sidwell Friends Middle School Chorus, and Akira Jinno on piano, all conducted by Gunther Schuller. The Washington Post reviewed the concert favorably, and described Joji Yuasa’s piece Scenes from Basho as exhibiting the very characteristics described in the seminar: “It is a haunting expression of stasis in music” (Washington Post, April 15, 1985).